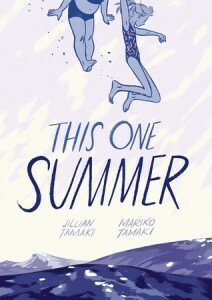 In a victory for the freedom to read, we got word on Friday that Jillian and Mariko Tamaki’s This One Summer has been restored to open shelves in high school libraries. Illogically and in violation of district policy, the graphic novel had been restricted in the high schools after a challenge at the elementary level. Due to the its status as a 2015 Caldecott Honoree, some libraries and schools serving younger readers have been caught off-guard by the book’s more mature content. There is no question, however, that This One Summer is age-appropriate for high school students. Its publisher First Second recommends it for ages 12-18. In addition to the Caldecott Honor for illustration, it also received a Printz Honor for outstanding teen books, as well as starred reviews in Booklist, The Horn Book, Kirkus, Publishers Weekly, and School Library Journal. In advance of a school board meeting on February 16, CBLDF, organizational members of NCAC’s Kids’ Right to Read Project, and other free expression advocacy organizations sent a letter to the district defending This One Summer in high school libraries. In that letter, we pointed out that acting based on fear of bad publicity rather than on sound policy and careful assessment exposes the district to future challenges from all quarters. Finally on Friday, we heard that This One Summer is now back where it never should have left: the unrestricted stacks of the high school libraries. By all appearances, this was yet another case of a school district acting to restrict a book in response to biased reporting rather than based on the sound educational policy that exists precisely to guard against such biases. We are gratified that the school district has reconsidered this rash action, but we must remain vigilant to hold administrators and officials everywhere accountable for protecting students’ First Amendment rights!